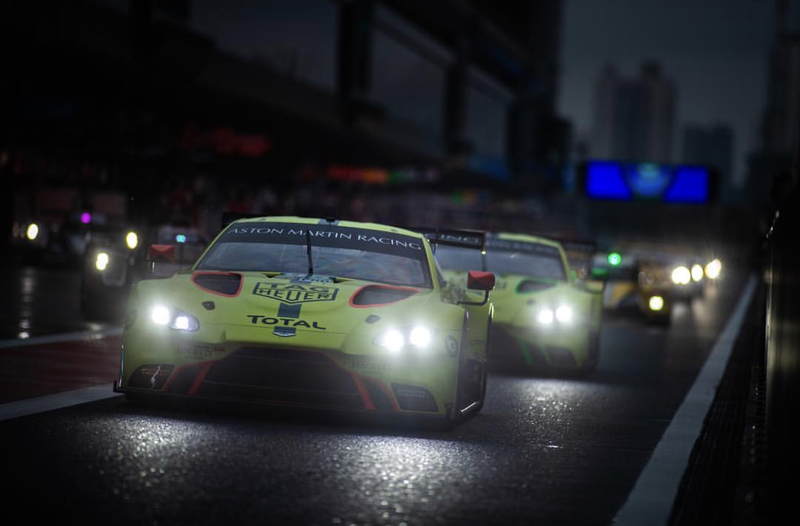 The first day of track action over in Shanghai has seen another confident start for those aboard the four V8 Vantage GTE's despite some very difficult track conditions. 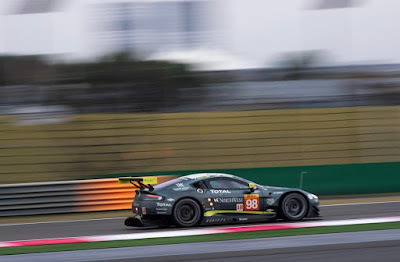 This mornings first Free Practice saw the #90 GTE Am car from TF Sport eager to demonstrate an early benchmark finishing not just the fastest Aston Martin but the second fastest GTE car overall but still 1.8 seconds behind the class leading #81 BMW. Back in class groups the #97 car of Alex Lynn and Maxime Martin ended that session in P3 with its sister #95 car of Marco Sorensen and Nicki Thiim P9 in the now eleven strong class with the addition of a single Corvette C7R for the event. With the GTE Am class being convincingly led in the first Free Practice session by the #90 TF Sport car of Salih Yoluc, Jonny Adam and Charlie Eastwood, the factory prepared Am entry of Paul Dalla Lana, Pedro Lamy and Mathias Lauda finished not too far behind in P4. A good start to the day for all four cars. This afternoons second Free Practice session of the day was equally productive (although track times had slowed presumably with the track conditions) by consolidating P3 and P4 in the Pro class whilst the two Am class AMR's had presumably eased off to finish the day in P4 and P8 for the TF Sport and AMR car respectively. Tomorrow morning sees the final Free Practice session of the meeting before an all telling Qualifying session where the effects of the most recent readjustments in the GTE cars the Balance of Performance will be all telling. 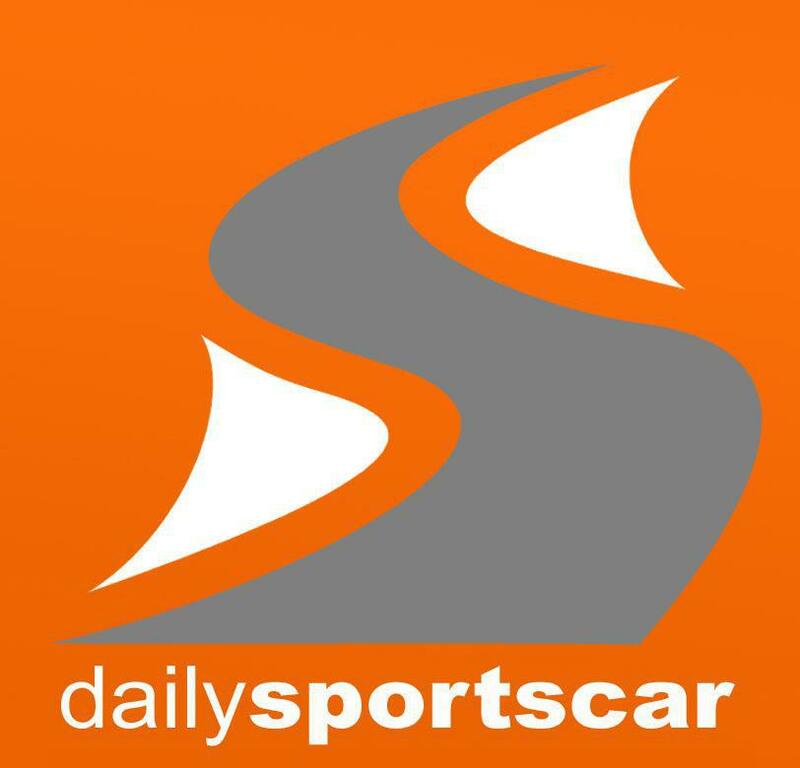 The weather forecast for tomorrow appears to be dryer than today however race day on Sunday again appears to hold the distinct possibility of rain. If we cast our minds back to Fuji, the two GTE Pro cars were the pick of the bunch whilst the track remained wet loosing out only in that short window in-between wets being the preferred choice to that of slicks being the optimum. Lessons will have been learned by the team from that transitional period of the race. At the moment things look promising - only time will tell!